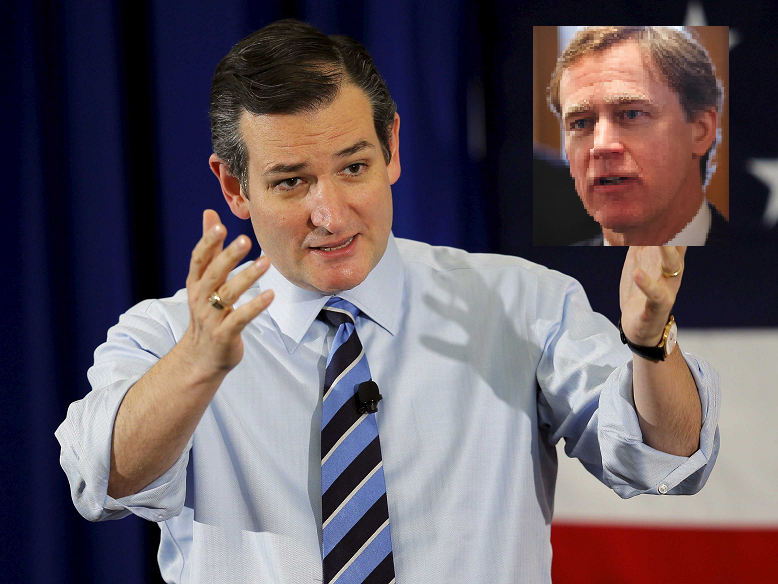 Cahnman's Musings: Will Dan Branch run against Ted Cruz for U.S. Senate?!? Source: The thing is, if you're going to run against Ted Cruz in a Republican primary in Texas in a midterm year, you'd have to be both incredibly arrogant and incredibly stupid; who fits that bill?!? Cahnman's Musings: What about Dan Branch?!? Source: You know...[another long pause]...I think you may be onto something. It just makes too much dadgum sense. It's also an open secret around the Capitol that Dan Branch loathes Ted Cruz. Branch can't stand the fact that Cruz has derailed his political plans multiple times. Most recently, Ted Cruz praised Ken Paxton during the latter's successful 2014 Attorney General campaign against Branch. The state rep to which that quote refers is Dan Branch. This was briefly an issue during Cruz's presidential campaign. You can learn the full history of that incident here. George W. Bush gave BIG money to Branch's 2014 A.G. campaign and it's likewise not a secret that Dubya "just doesn't like" Cruz. Furthermore, Branch is from Dallas. Cruz is from Houston. So it also makes sense from the perspective of the region vs. region dynamic that sometimes emerges in statewide races. Bottom Line: For now, this is just informed speculation, but it just makes sooooooooooooooooooooooo much sense. Wait until you find out who Ted Cruz has running against him in 2018 - it will be a slam dunk win, but not for Ted Cruz. This will actually destroy Ted Cruz's political career - it's someone that packs a Donald Trump style. Stay tuned for 2017. Hey, the big talker was blowing smoke. We're still waiting for that Trumpian Ted Cruz opponent. Come on, who wants to be the next loser to Senator Ted Cruz? Beto ORourke? Good luck with that! STC 57, BOR 43 is my guess. Revelation 6:1-8 -- The SEALS are BROKEN!! !